In the centre of a valley that would not be stands a thing that cannot be. 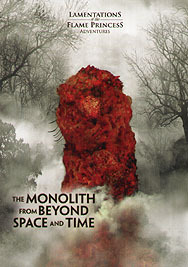 Those that go before the monolith do not return the same as they left. Sometimes they do not return at all.